Grants for projects and programs that address the adverse risks and impacts posed by climate change. The United Nations Framework Convention on Climate Change (UNFCCC) is an international environmental treaty developed at the United Nations Conference on Environment and Development in Rio de Janeiro in 1992 (the “Earth Summit”). The resulting Kyoto Protocol was accepted by most of the world’s countries as a legally binding measure to stabilize atmospheric greenhouse gases at a level that will prevent human-caused interference with the world’s climate system. The UNFCCC uses the Adaptation Fund to make grants for projects and programs in developing countries that are Parties to the Kyoto Protocol. Adaptation Fund. The Adaptation Fund makes grants for projects and programs that address the adverse impacts of, and risks posed by, climate change. Themes include measures to increase resilience against the threats of droughts, flooding, coastal erosion, etc., and the negative impacts they cause for agriculture, fisheries, water supply, and related aspects of community livelihoods. Eligibility for grants extends to countries which are Parties to the Kyoto Protocol, with emphasis on developing countries that are particularly vulnerable to the adverse effects of climate change. Grants are primarily to government organizations such as national ministries, development institutes, local government authorities, and others – sometimes in partnership with civil society organizations. Small-size projects and programs are under US$1 million. Regular projects and programs are over US$1 million. APPLICATION: The Fund posts a manual of its operational policies and guidelines, along with a list of the materials to prepare a request for funding. Project proposals are submitted through any of the Fund’s national, regional, or multilateral Implementing Entities. Proposals need to be endorsed by Designated Authorities in the countries where the projects and programs are implemented. The following developing countries have ratified the Kyoto Protocol (i.e. via acceptance, approval, or accession), applying the regional geographic structure of the Terra Viva Grants Directory. 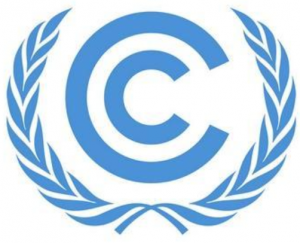 UNFCCC’s website is available in English, French, and Spanish. Funded Projects is a guide to the activities of the Adaptation Fund since year 2010. The Fund provides the names and contact information of the Implementing Entities and the Designated Authorities. The Fund is financed by revenues generated through emissions reductions under the Clean Development Mechanism (CDM), and by other sources of funding. UNFCCC’s website is the world’s most extensive source of announcements, events, and data about climate change. Contact Us offers a menu of subjects, and where to look for the answers.